Vertical Cinema – it is such a crazy and brilliant idea that we wish we had thought of it first. But some clever Austrians beat us to it. Now you can finally have a place to project all those movies you shot on your iPhone holding it upright. Best of all, this pop-up cinema shows films on FILM. “The first showing of Vertical Cinema at the Kontraste Festival Krems in Austria in October 2013. The event was held at the church of Grey Friars, a venue typically used for music performances. (Markus Gradwohl)” Link. Australia: The end of 35mm prints is fast becoming an issue outside of the United States as well. This is just one cinema in Australia that face an uncertain digital future. “The Keith cinema group will continue to play movies during the phase-out of 35mm film while it awaits funding for a digital projector. Coordinating the grant attainment is Tatiara District Council cultural development officer Naomi Fallon who applied for a “Youth Connect” grant through the Office of Youth in Adelaide… The search for funding is needed after council discussed in January that there was not sufficient funding in the 2013-14 budget to install a projector at the Keith Institute along with the Tatiara Civic Centre which is currently having a digital projector installed by digit ALL for over $47,000.” Link. South Korea: More on the accusation that one of South Korea’s leading multiplex operators censored a film critical of Samsung. “Civic groups and the production crew of the Korean film based on the death of a Samsung Electronics employee claimed Wednesday that Lotte Cinema abused its position as one of the nation’s leading cinema chains to block moviegoers from seeing the film. “Another Family” is about a real-life father’s quest for truth about the leukemia death of his young daughter who had worked at one of Samsung’s semiconductor plants for four years.” Link. USA: Fargo, North Dakota could soon see patrons allowed to bring alcoholic beverages into screenings of their favourite Coen Brothers films. ” Moviegoers here could enjoy a cold beer with their hot popcorn as soon as this summer, as the owner of Fargo’s two major first-run theaters wants to add liquor sales as part of its multimillion-dollar renovation plans. Marcus Theatres will present its plan to the city’s liquor control board today for adding a “Take Five Lounge” to the West Acres Cinema at 4101 17th Ave. S.” Link. USA: Having good management practices and policing and enforcing restrictions on liquor sales helped this Minnesota cinema get an expanded licence. “The Marcus Oakdale Cinema in Oakdale was recently awarded an expanded liquor license, allowing moviegoers to imbibe while watching the big screen. The theater was granted a license in November restricting liquor sales and consumption to a proposed restaurant/lounge area, but came back to the council with an expanded request, which was approved Jan. 28.” Link. USA: Small fire, fortunately nobody injured. “The Regal Burlington Cinema was evacuated Tuesday night following what police said was a “heavy smoke condition” following a small fire inside the theater caused by a heating unit malfunction. Fire department officials were unavailable for comment but crews were called to the theater on Bromley Road next to the Burlington Center shopping mall at about 7 p.m.” Link. UK: Greenwich Council took the unusual step of buying a piece of land and put forward its own plans to convert the site to a cinema/restaurant venue. “The cinema proposal is part of a plan for Eltham town centre which aims to boost the High Street’s economy and encourage more people into the town in the evenings. A cinema with two restaurants in the same building at street level, and new high quality pubs in improved public spaces should certainly help in that aim.” Link. UK: “Hollywood is coming to Prudhoe as a new community cinema prepares to open for business. Fuse Community Cinema will open for a month-long pilot run in March. The 100-seat cinema will be housed within the full-sized auditorium already in place at Prudhoe’s Fuse Media Centre.” Link. UK: “A cinema could return to [Bristol’s] Whiteladies Road as early as autumn 2015 as Everyman are revealed as the operators who could restore the former Picture House to its former glory. Everyman, not to be confused with the theatre in Cheltenham, own 10 cinemas across the country from London to Leeds.” Link. UK: “Craig Marston, owner of Ke-design in Salop Road, has urged the council to support The Regal Project Group in their plans to convert the former Regal Cinema into a multipurpose theatre, arts and performance venue. Mr Marston, who has worked on urban regeneration projects in Leeds, London and Hong Kong, said the venue in Leg Street could be just what Oswestry needs.” Link. 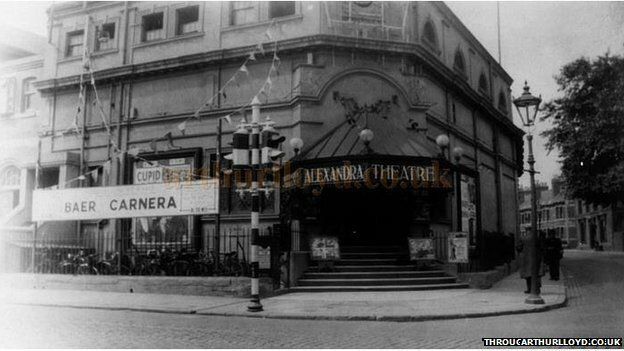 UK: “A campaign to save a nearly 100-year-old cinema from being demolished to make way for flats has failed. Films have not been shown at the Theatre One building, in Ford Street, Coventry, since 1998. An arts group called the Through The Wall Project wanted to revive the building as a cinema and arts venue.” Link. USA: “Going to the movies is about to become a whole new experience for movie lovers in Sheboygan. Marcus Theatres announced Tuesday the complete renovation of its Marcus Sheboygan Cinema in Sheboygan. The extensive undertaking includes a refreshed and updated exterior as well as a remodeled lobby with new concession stand, box office and interior finishes.” All the screens will also feature Marcus’ DreamLounger seats. Link. Australia: “Glenelg’s $17-million cinema faces further delays, after the state’s peak planning body postponed its assessment of the project for a second time. 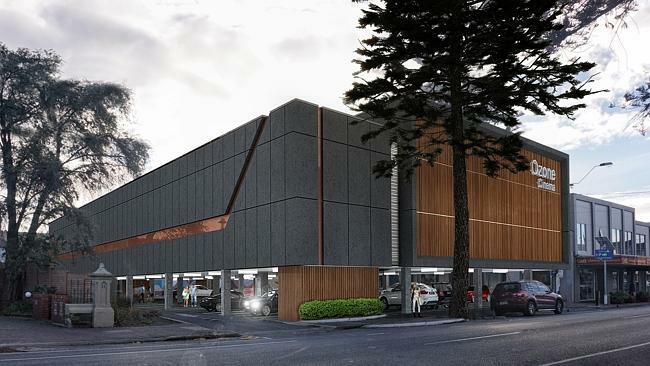 The Development Assessment Commission again deferred making a decision on the 930-seat complex and two-level carpark just south of Jetty Rd, despite government planners recommending it be approved last week. The DAC also deferred its assessment when it first considered the project in late January.” Link. South Africa: “After more than two decades in business, Ster-Kinekor at the Vincent Park shopping centre in East London has closed its doors. The cinema traded for the last time on Sunday, Ster-Kinekor marketing executive Doug Place confirmed yesterday. The owners of the shopping centre, Old Mutual Life Assurance Company, decided not to renew the lease agreement.” Link. USA: More details on Elton John’s Las Vegas show going out (non-live) to cinemas across the world. “On Tuesday, March 18 and Wednesday, March 26 at 7:00 p.m. local time, Fathom Events, CinemaLive and Rocket Music Entertainment Group will take U.S. moviegoers on a Las Vegas VIP experience for a hit-filled cinema event, “Elton John: The Million Dollar Piano.” Recorded at the iconic Colosseum at Caesars Palace in Las Vegas, the legendary Sir Elton John performs his entire, critically-acclaimed concert,” The event will be screened at more than 700 cinemas in the US. Link. Lomography: Want to see just how green you can make your local cinema look? Check out this blog post of the snapper inrod’s favourite cinema, the Luna, in Ludwigsburg, Germany. “Since this cinema does not show the big movies, you normally don’t have to wait long, to get into the theater. It rather shows documentaries or movies from festivals that do not attract a lot of people. The theater consists of only one hall, with the well-known [sic] cinema chairs. The sound system is up to date. That way, you can enjoy your movie. If you get cold while watching, just go to the front and get a blanket out of the wooden box. Somehow, it got really cold as we were there last time.” We are green with envy. Or something. Link.